COMPETITION: Fancy a once in a lifetime chance to meet and train with Pele? Brought to you by Snickers. How would you like to meet Pele? Every so often, a sport produces the type of genius that makes everything that went before irrelevant. Edson Arantes do Nascimento was introduced to the world as Pele and it didn't take long for everyone to know his name. These days, the Brazilian superstar is simply known as the greatest footballer of all time. The word legend may be overused but there's no doubt that Pele is a living legend. You could travel to a rainforest in the middle of nowhere, mention the name Pele, and get a knowing smile. He may have become an international ambassador for football but it's impossible to forget that what captured the popular imagination was his god-like genius on the pitch. Even when you're watching grainy black and white clips, his prodigious talent still stands out. He was able to do everything – he could shoot, pass, head the ball, dribble and outpace opposition players. And his close control was a thing of beauty. And that’s before we get to his 1281 goals or the countless records that he personally smashed during his career. Still doubt his greatness? Just check out some of these classic goals. 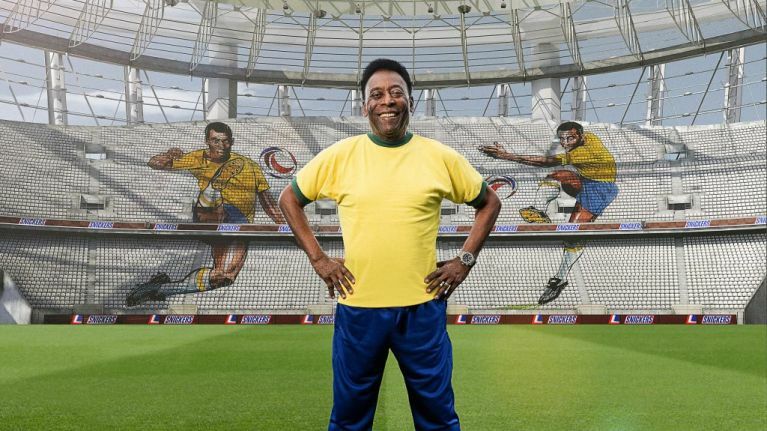 Now that you’re feeling suitably inspired, we're asking you to "Play like Pele." We want you to recreate the Brazilian maestro’s famous skills, whether that's a brilliant dribble or his classic bicycle kick. One lucky winner will get the chance to meet and train with the legend himself in Barcelona. They'll also get to bring two friends to Barcelona with them for a weekend and training session. The lucky winners will get to fly to Barcelona, where they'll be transferred to a hotel and given a football kit to train in. 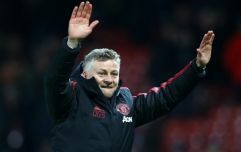 They'll take part in a training session on the following day, with the great man himself offering personal advice and coaching as he oversees their activities. It's an amazing prize and one that any true football fan would love. All you have to do is take a photo or video of you channelling your inner Pele and send it to Snickers. Simply send your entries via the Snickers Ireland Facebook or their Twitter. So what are you waiting for? This could be your ticket to meet a living legend and see if he can still skin a defender! Play like Pele and win! Send a photo or video of you recreating one of Pele’s iconic kicks and you could score yourself a trip to Barcelona to train with the legend himself. See the Snickers Facebook page for more information. T&C’s apply.